Ustad, as he is rightfully called, lauding his virtuosity as a master percussionist, is everything that signifies unparalleled genius and boundless creativity. This culture icon is renowned for developing his unique style of tabla playing. He masterfully combines Indian classical and western styles to create his trademark style. 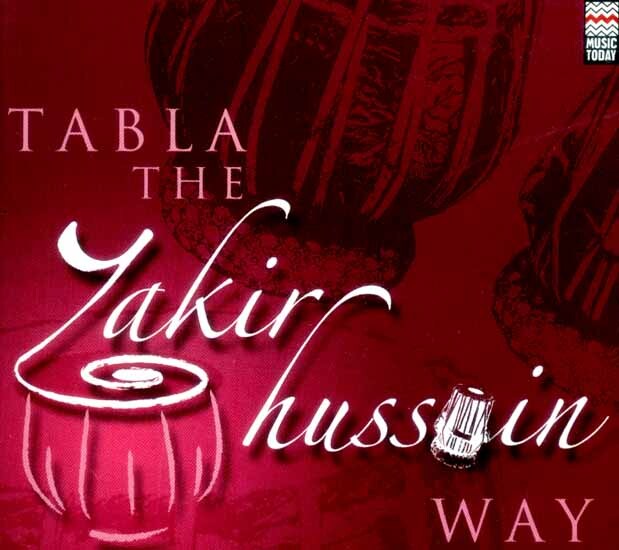 This album is a defining collection of the legend’s genius on the tabla. This wizard of the Indian percussion instrument is more than just an epitome of brilliance. He is everything that signifies unparalledled genius, a culture icon and boundless creativity. He has crossed-over from the traditional to the modern form, and married the two to create what is quintessentially the ‘Zakir Hussain style’. He is the defining force behind the tabla, which he uses masterfully to give expression to his music. There is more than rhythm in his playing. Every beat exudes life, energy and melody. Tabla to this legend, replaces the spoken word. As if muted by the magnanimity of the instrument and the proficiency he has gained in it, he lets the tabla beat its way through millions of hearts all over the world. Zakir Hussain’s style is identified as the Chokhat Baaj (four main styles in traditional tabla playing). The versatility with which he blends in gat-s, kayada-s, padhant-s, bol-s and radically creative improvisations, make his classical playing very colourful. In his solo performances, he sometimes takes an open-ended chhanda of complex rhythm, weaving his way through a labyrinth of different layakari-s and convoluted tihaai-s that reach the sam with astonishing deftness. His consistently brilliant and exciting performances have delighted audiences more than any other contemporary artiste. The favourite accompanist for many of India’s greatest classical musicians and dancers, from Ustad Ali Akbar Khan and Pt. Ravi Shankar to Pt. Birju Maharaj and Pt. Shiv Kumar Sharma, his playing is marked by uncanny intuition and masterful improvisational dexterity, found in formidable knowledge and study. He has also collaborated with artistes of international repute such as John McLaughlin, Mickey Hart, George Harrison, Joe Henderson and others. He is also the co-founder of the cult band ‘Shakti’ along with John McLaughlin. A recipient of several awards and accolades including the coveled ‘Padma Bhushan’ by the Government of India and the Grammy award with Mickey Hart for his world music album Planet Drum, Zakir Hussain is a formidable force to reckon with in the world of music today.